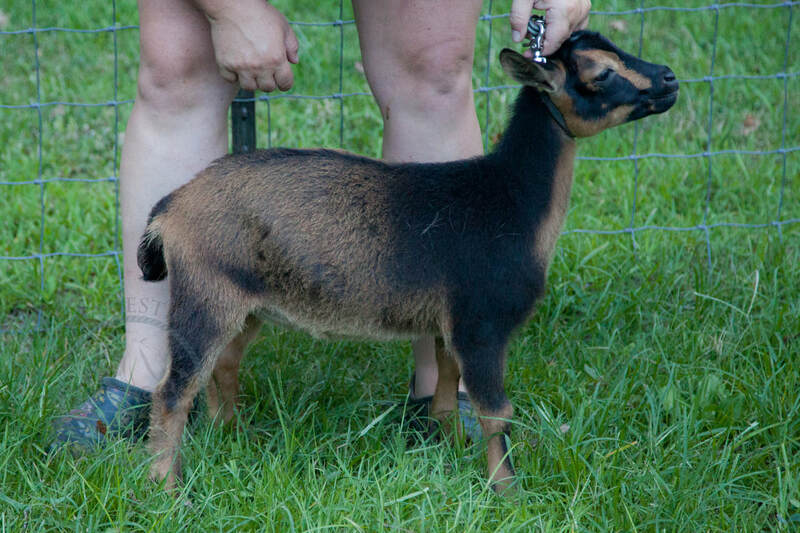 Foxtrot is our first home bred doe that we have entered into the show ring. She has had success, even though she's only been entered into a few shows. 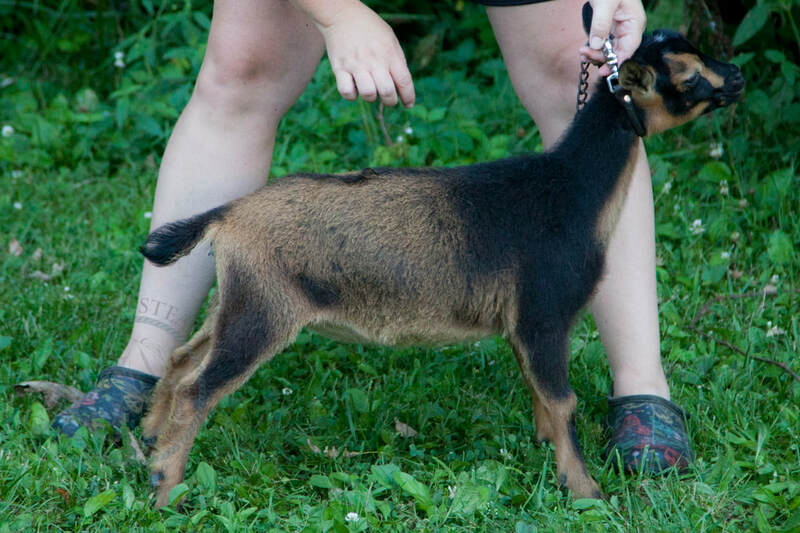 Her dam was one of our first goats we ever bought, back before we decided to enter the world of showing goats. Foxtrot has amazing length, depth of body, and femininity! Her dam is a excellent mother and milker and has great capacity of udder. Foxtrot was the largest of the first set of quads we have had born on the farm! We are looking forward to seeing what kind of udder this little gal puts on! Foxtrot won her restricted leg this September (2018)! She was nearly chosen for Best Junior Doe in Show as well. 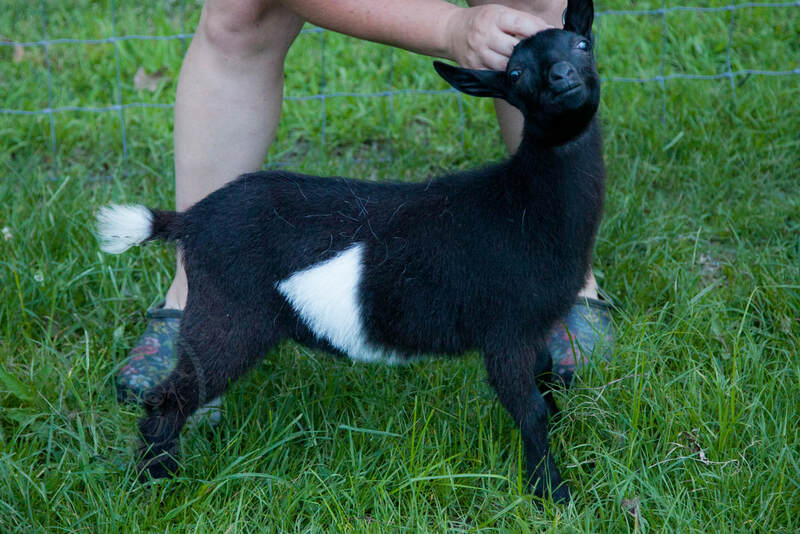 Rosebud is a precious Lamancha doe. Our youngest son raised her from a bottle baby and she is certain that she still belongs in the people house, rather than the barn. She comes from great genetics that have enjoyed success in the showring! She has been stuck in a sort of awkward stage for a while now, but is starting to fill out into a beautiful doe! We look forward to her first freshening! Rosebud won her restricted leg this September (2018)! Cordelia is a doe that I'm counting down the months until she's old enough to freshen. She combines the best of both worlds... Nubian creamy milk and Lamancha production and personality. She is wide, angular, level topped and has wonderful dairy skin. She is sweet as can be too! For a more extensive pedigree, scroll up to her "aunt" Rosebud. Cordelia injured her hip in August and this caused her show season to be cut short for 2018. We are looking forward to her return to the ring in 2019!